This is a fantastic walk for those wanting a great walk on Sydney’s northern beaches. Features of this track include views of the central coast, Palm Beach and the South Pacific Ocean, and historic remnants of old lighthouses. Currently some track repairs are underway, however once completed this walk will revert to a circuit track. 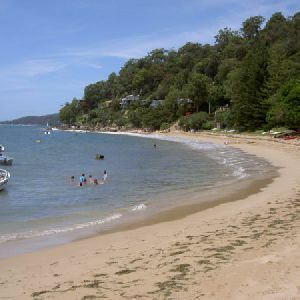 This walk starts from the car park at Station Beach (on the Pittwater side of the Palm Beach promontory, past the Palm Beach Golf Course and the ferry wharf) At the northernmost end of the car park, this walk passes the ‘Barrenjoey Head Aquatic Reserve’ sign, heading north along Station Beach (keeping Pittwater to the left). The walk passes two distinct tracks on the right before coming to an intersection with a less-defined track, also on the right (and a ‘This way to Lighthouse’ sign), just before a small house. Turn right: From the house, the walk follows the ‘This way to Lighthouse’ sign. The track becomes a wide, sandy trail that, after approximately 30m, turns to the left. Shortly after this, it narrows significantly and then uses a set of very steep carved rock steps to climb to the top of the headland. Approximately halfway up the climb, the walk passes a lookout with fantastic views over Palm Beach, which makes a good spot to take a break. From the top of the steps, the walk heads along the gravel trail up between the buildings and continues to the lookout, where there is a sundial just below the lighthouse. The Barrenjoey Lighthouse was the third light constructed on this headland, completed in 1881. Designed by James Barnet, the NSW Colonial Architect, and built for a cost of $13,695 plus $2,210 for the lamp, the light is at an elevation of 113m and can be seen to a distance of 19 nautical miles (35 km) out to sea. Turn right: From the sundial, this walk heads past the lighthouse (on the right) as it enters the thicker scrub of the headland. The track passes a few historical sites as it continues towards Palm Beach (on the right). The track leads out along the ridge of the headland to a lookout over Palm Beach and Sydney’s northern beaches. In 1868, two wooden lighthouses, known as the Stewart Towers, were built at either end of the headland to guide ships in to port. These were later replaced by the current tower in 1881. Stewart Towers were tended by George Mulhall Snr and Jnr, the first principle keepers of the current lighthouse. George Mulhall was the first principal lighthouse keeper of Barrenjoey headland, working in the permanent lighthouse from 1881 until he was struck by lightning in 1885. His son, George Mulhall Jnr, succeeded him. Around 680m of this walk has gentle hills with occasional steps, whilst the remaining 480m is very steep. Around 790m of this walk follows a formed track, with some branches and other obstacles, whilst the remaining 370m follows a smooth and hardened path. Around 680m of this walk is clearly signposted, whilst the remaining 480m has directional signs at most intersection. Around 840m of this walk requires no previous bushwalking experience, whilst the remaining 310m requires some bushwalking experience. This whole walk, 1.2km is not usually affected by severe weather events (that would unexpectedly impact safety and navigation). Around 790m of this walk has limited facilities (such as not all cliffs fenced), whilst the remaining 370m is close to useful facilities (such as fenced cliffs and seats). A list of walks that share part of the track with the Barrenjoey Headland Walk walk. 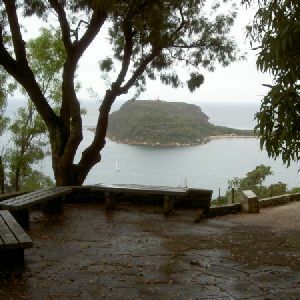 A list of walks that start near the Barrenjoey Headland Walk walk. This walk is all about the stunning views from the edge of West Head. After the lovely drive through the bushland along the West Head Rd you will love this gentle stroll down to what feels like the edge of the earth. 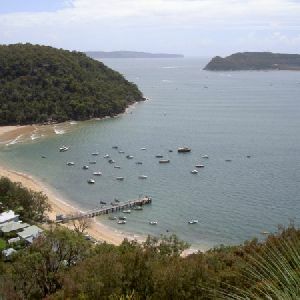 There are great views across the Pittwater to Barenjoey Head as well as across the mouth of the Hawkesbury River. You will find plenty of information signs explaining some of the rich histories of the area, including about the gun emplacements that were built into the side of the cliffs here to protect from enemy ship invasion. Make a day of it by packing a picnic lunch and visiting Resolute picnic ground (and toilets) about 900m back along the road. Probably the best word to describe this walk is ‘cute’. The circuit walk starts with a few steep steps, but soon flattens out, following a well-defined track through an open forest, via some natural sandstone sculptures. 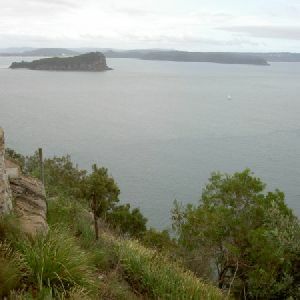 The lookout is notable for wonderful views to Patonga, Lion Island and out through the entrance of Broken Bay at Barrenjoey. A seat at the lookout is well placed to encourage people to stop and enjoy. This is a short walk down to Red Hands Cave from the Resolute Picnic Area. The walk loops from the picnic area through the heath and down to the overhang of the cave. 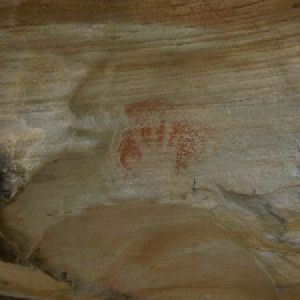 The Aboriginal rock art is quite faded but is estimated to be over 2000 years old. This makes for an interesting historic walk, great as an appetiser before a picnic lunch at Resolute Picnic Area. 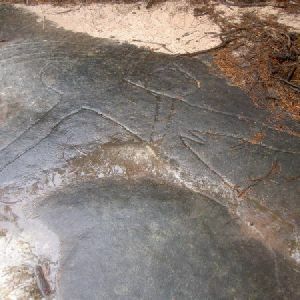 The Aboriginal Heritage Track takes in one of the most popular rock art sites in Ku-ring-gai National Park, and an amazing Aboriginal engraving site. The walk leads out from Resolute Picnic Area to pass by the caves and then continues down the management trail to the engravings. The walk then returns to the picnic area. It is a great way to see historic Aboriginal art in the Sydney region. The Resolute Track, Ku-ring-gai Chase National Park, is a great way to see two major Aboriginal sites and Resolute Beach. The return-style walk starts from Resolute picnic area and heads down to Resolute Beach, passing a Red Hands Cave and an Aboriginal engraving site. The Resolute Track uses management trails and bush tracks which have views over the sea as they pass through heath, rainforest and bushland. 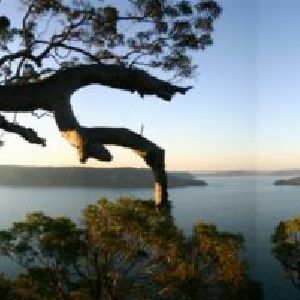 This walk is a great way to see two major Aboriginal sites and up to three of Ku-ring-gai Chase’s beaches. The circuit walk visits Red Hands Cave and some historic engravings, in addition to enjoying expansive views over Pittwater, with Barrenjoey Headland as a feature. The walk includes Resolute and West Head beaches and the option of a side trip to Mackerel Beach as well. To top it all off, this walk has an added bonus of a WWII gun emplacement to explore. 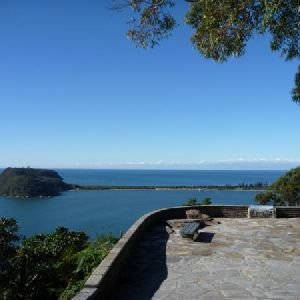 From Resolute Picnic Area, this walk heads out to West Head Lookout, with magnificent views across the Hawkesbury River and Lion Island. The track is a direct route which passes through classic Ku-ring-gai Chase National Park bushland. This walk offers a great way to avoid competing for parking at West Head Lookout, while enjoying more of the park. This track creates a loop between Flint and Steel Beach and Bay by traversing the headland between them. The walk explores Flint and Steel Beach and the McGaw ruins, while providing scenic views across the Hawkesbury River to landmarks such as Lion Island. 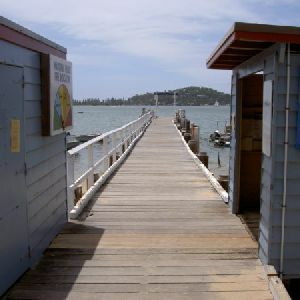 This walk follows a scenic route to the secluded Flint and Steel Beach, which provides views across the Hawkesbury River to landmarks such as Lion Island, Patonga and Box Head. The walk passes through palm, pine and grass tree forests. There is a great diversity of flora and some fantastic sandstone rock formations along the way. http://new.wildwalks.com/wildwalks_custom/includes/walk_fire_danger.php?walkid=nsw-krgcnp-bhw Each park may have its own fire ban, this rating is only valid for today and is based on information from the RFS Please check the RFS Website for more information.